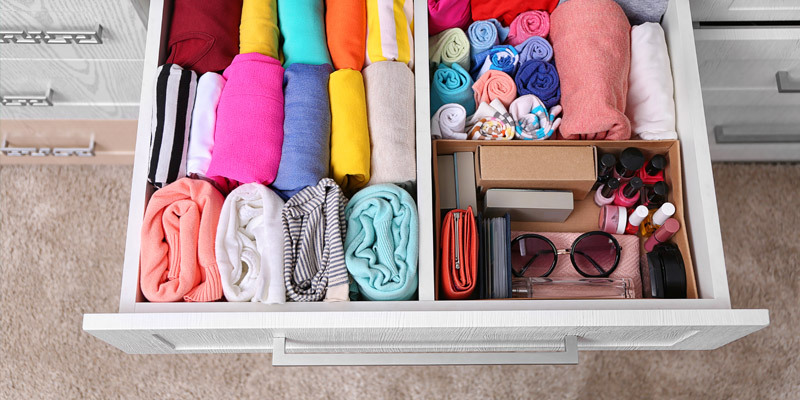 Can Being Neat Improve Your Health? NEAT stands for Non-Exercise Activity Thermogenesis. That is the “science-y” way to say that we produce energy (thus burn calories) with activity outside of structured exercise sessions. Working, playing, running errands, doing laundry, etc. ; all the “stuff” that requires movement during the day. RMR: Resting Metabolic Rate. The amount of calories (energy) your body requires to sustain life at rest. This is based on factors such as age, height, gender, and body composition. TEF: Thermic Effect of Food. The amount of calories (energy) your body requires to process and use food. 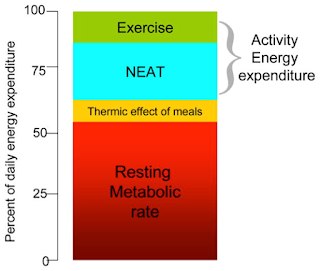 NEAT: Non-Exercise Activity Thermogenesis. The calories (energy) expended for everything you do that is not resting, eating, or structured exercise. EXERCISE: Any activity requiring physical effort and exertion with the purpose of improving or sustaining health and fitness. As you can see from the formula above, activity makes up around 30% of total Energy Out, with NEAT activity comprising the majority! And as an added benefit for weight/body fat loss goals, this low-intensity daily movement prefers using body fat for fuel. This is why research suggests that people who move throughout the day are more likely to reach or maintain weight loss goals than those people who complete one vigorous exercise session per day but are sedentary throughout the rest of the day. The law of inertia tells us that an object in motion stays in motion. We don’t need a physics lesson to prove this…we all have personal examples of renewed energy after simply getting up and moving around. Not only does NEAT activity use energy (burn calories and body fat) but this activity also promotes continued energy! In other words, the “NEAT-er” you are, the “NEAT-er” you want to be! NEAT activities are also associated with enhanced mental clarity and energy. Take students for example. Published studies from several universities as well as the CDC show improved academic performance among students who regularly move throughout their school day. And cubical-caged corporate workers and freelancing creatives alike will tell you that simply stretching and “clearing your head” can renew focus! Consistent daily movement also contributes to: lowered risk of diabetes, heart disease, and other chronic disease; improved sleep quality; healthier joints; mood regulation, just to name a few benefits. Bottom line, our bodies were created to move and NEAT activities help us function as designed. SO, IS EXERCISE EVEN IMPORTANT? In addition to being a Health Coach, I’m a Personal Trainer, so of course my answer is a resounding YES…but not necessarily for weight loss. Structured exercise has benefits far beyond what our bodies look like or weigh: improved mood, lowered risk of common lifestyle-related diseases, increased bone density, improved balance, improved cardiovascular and muscular fitness, improved immunity, and on and on. We can all benefit from smart exercise sessions targeted to our health goals. Just don’t rely on exercise alone for weight loss. And please don’t assume that your early morning session with your trainer gives you permission to be sedentary the rest of the day! Become more aware of how much you sit during your average day…in the car, at work, on the couch, at a sporting event, at the PTA meeting, etc. If needed, journal this information to note patterns. Choose one specific area of your life to incorporate more NEAT activity. Don’t make it complicated…think simple! Office ideas: prop computer up and stand at desk, walk to colleague’s desk instead of email, pace during business meetings. Personal: park far from store entrance, take the stairs, pace in doctor’s waiting room, only check social media/answer texts/take calls while standing. Get creative and have fun with this! Bottom line, being NEAT is great for your health! Remember this next time you fret about your errands, or your spouse complains about that “honey-do” list, or your kids whine about their chores. And if you feel self-conscious being the only one pacing during a business meeting, think of this: you may start a trend and be the catalyst for a NEATer world around you! Thanks for reading…now get up and move!